One of the major responsibilities of the MUIC Student Association is supervising its satellites of student clubs. 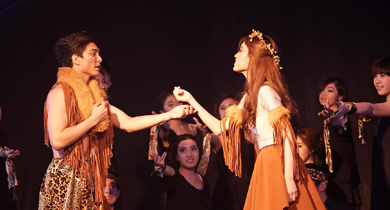 By participating in extra-curricular activities, students not only cultivate their personal communication, team-building and leadership skills but also contribute to the development of the college and the greater community. Students who participate in club activities, conferences and competitions have their accomplishments recorded on their transcripts and become an important part of their resumes, particularly since multinational companies and organizations value employees with such experiences. The MUIC Activity Transcript serves as the activities accomplishment record of students. The internal and external activities of participants are recorded in this system. Students can check their record via the SKY account. In cases where students have participated in less than 5 activities, they must state their purpose for the transcript. It takes 2-3 days for the request to be processed. How to get activities recorded on the systems? Participate in MUIC Student Association/Clubs/Department/Office activities. Participate in external activities (domestic/International). 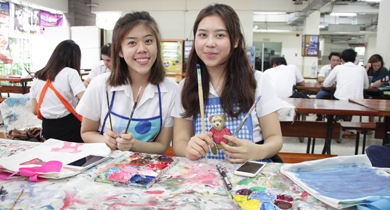 The MUIC Art Club provides training and support for students interested in a variety of art forms through regular classes and workshops. Members also engage in an annual field trip and display their work at exhibitions. The Animal Lovers Club was established for people who love animals and are interested in taking care of animals who need help. 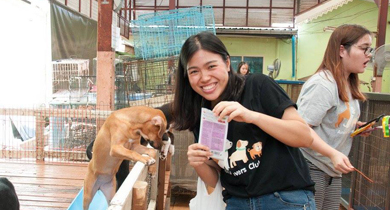 Club members volunteer for activities that improve the quality of life of stray dogs and other animals. The club also provides MUIC students, lecturers and staff with useful knowledge which can be used for their pets or animals near their residences. AIESEC is the world’s largest non-profit youth-run organization recognized by the United Nations Economic and Social Council (ECOSOC). AIESEC Club provides students with leadership opportunities, transferable skills development and cross-cultural volunteer experiences to empower young people to make a positive impact on society. 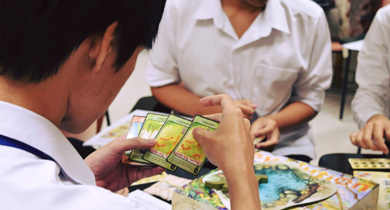 The Board Game Club was established to create a venue for board game enthusiasts. It aims to develop its members' skills including critical thinking, negotiation management, and creativity while at the same time providing an opportunity for recreation and friendship. The Choir Club was established for lovers of music who are interested in developing their vocal skills and aesthetic sensibilities. MUIC students, teachers and staff members are welcome to join. 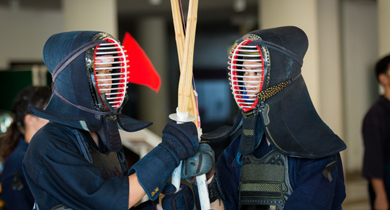 Kendo is the Japanese martial art of sword fighting and means “ways of the sword.” The Kendo Club is one of the newer clubs at MUIC and provides training for interested students. Members are currently preparing to join Kendo tournaments and compete with other universities. 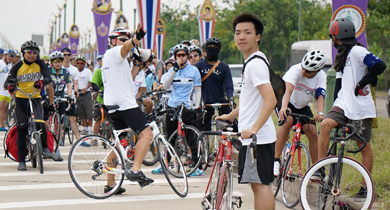 The Cycling Club provides an opportunity for students to improve their physical fitness and enjoy the scenic venues in their cycling excursions. The club also successfully participates in local and national competitions. 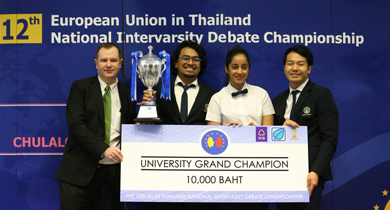 The Debate Club is one of the most respected debate teams in Southeast Asia. The team regularly participates in national, regional and international competitions. In 2002, the Club hosted over 100 teams at the All-Asian Debate Competition at MUIC, the largest All-Asian Debate ever held in the region. 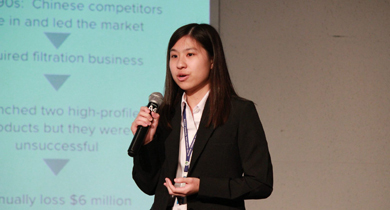 The MUIC debating teams have won 5 national tournaments, were designated as the top debating enterprise in Asia by the United Asian Debating Championship and are ranked 65 in the world. 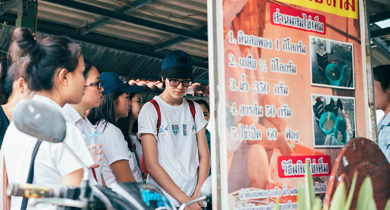 The Diving Club enables members to explore Thailand’s marine environment and makes diving lessons more affordable for students. Club members and other students alike become more environmentally aware of the importance of beaches and coral reefs. 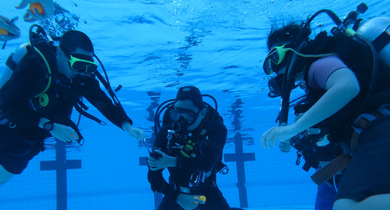 The club activities focus on diving safety and ocean conservation. The Inner Peace Club, one of the newest clubs at MUIC, promotes the benefits of Buddhist meditation to all MUIC students by engaging in meditation exercises on a weekly basis. 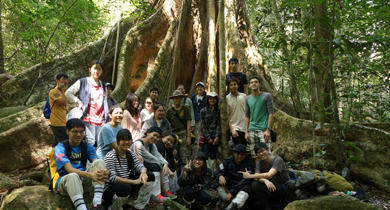 The club encourages everyone to join, especially foreign students. The Music Club allows students to get together for practice sessions and performances. 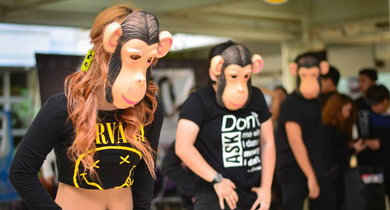 It also invites professional groups to perform on-campus. 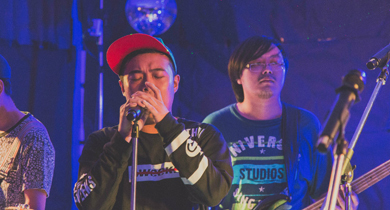 Every year the club organizes concerts and encourages students to participate in competitions. 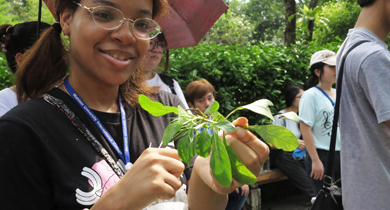 The Nature Lovers Club, formerly known as the Apple Tree Club, was inaugurated to educate students about environmental issues and their impact on their daily lives as well as to create a passion for a sustainable environment. 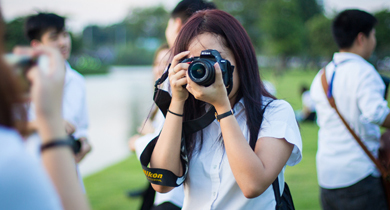 The Photography and Multimedia Club gives members an opportunity to learn more about photography and multimedia technology. 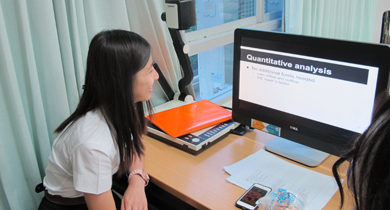 Activities also include the application of computer technology for multimedia presentation. Instruction on film photography is also available for those who are interested. The Science Society Club is represented by students majoring in Science (AP, BI, CH, etc.). The members are responsible for disseminating academic information and organizing events specific to their majors. The MUIC Enactus Club is a chapter of an international network of student leaders representing more than 1,400 universities in 48 countries that mobilizes students to create economic opportunities for others. Despite the diversity of their backgrounds, these students are brought together by a common desire to lead, inspire and make a difference. The club has undertaken several projects that have made a difference to the local community. Its projects, such as the Parachute Rice Plantation, have been internationally recognized for their success. The Sports Club is part of the MUIC Health Education Program. Competitions are organized between different leagues during the academic year. Normally, a team will practice two to three times a week. There are three different sports activities at MUIC: Soccer, basketball and volleyball. Try-outs for newcomers are held every trimester. In the second trimester several league matches are held while the third trimester features the International Sports Competition and the Freshy Games. Traditional Thai music is a basic part of Thai culture. It embodies the wisdom and creativity of Thai ancestors. 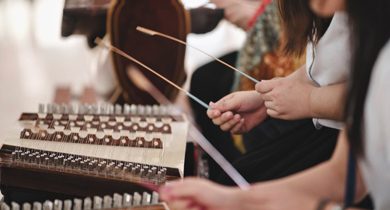 Passed from generation to generation, Thai music is one of the treasures of the Kingdom. 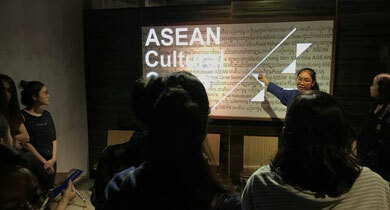 The Thai Music Club aims to promote traditional Thai music among the students and members of the MUIC community and preserve this art form and cultural legacy. The THM Club was established by Tourism and Hospitality Management students with the aim of developing a mastery in the fields of tourism and hospitality management through invited guest speakers and alumni. The club also organizes activities which generate more knowledge in terms of focusing on career paths, strengthening bonds and creating networks among THM students. 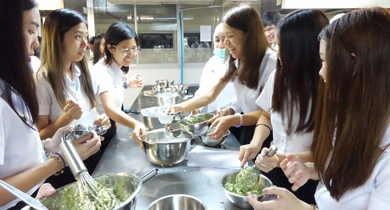 The Value Investment Club provides its members opportunities to learn about and make investments, particularly in the Thai stock market. By using a variety of value investment tools in different markets around the world, members are able to explore the value of stocks from each country. Moreover, members evaluate valued stocks through fundamental and technical analyses. Members of the Volunteer Club are committed to helping others. 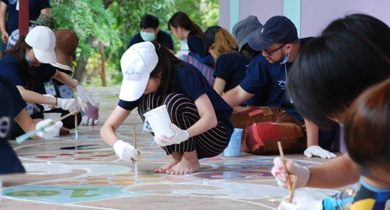 Each year the club sets up a volunteer camp for ten days in a different part of rural Thailand. Participants at the camp teach children English and general hygiene, build new classrooms as well as repair libraries and other facilities. The volunteers also raise funds for their projects.